I have to be honest and say that Benji and I have not really done very much of late. This is the coldest winter period we have had in many years with the overnight temperature and the early morning down to 1c. The Port was down to 0c and over the last few days this has been the morning temperature and just too cold to go wandering around in the dark, and to be honest I sense a lack of keenness in Benji to go wandering in the cold morning. Like me, he sticks close to the heater. Daytime temperature is around 13c / 14c, which, for us is cold. However, the winter sun sees us wandering abound the Wetlands and observing the progress – or lack thereof – of the new kiosk. I don’t wish to be negative about these things, but can you come back next year. 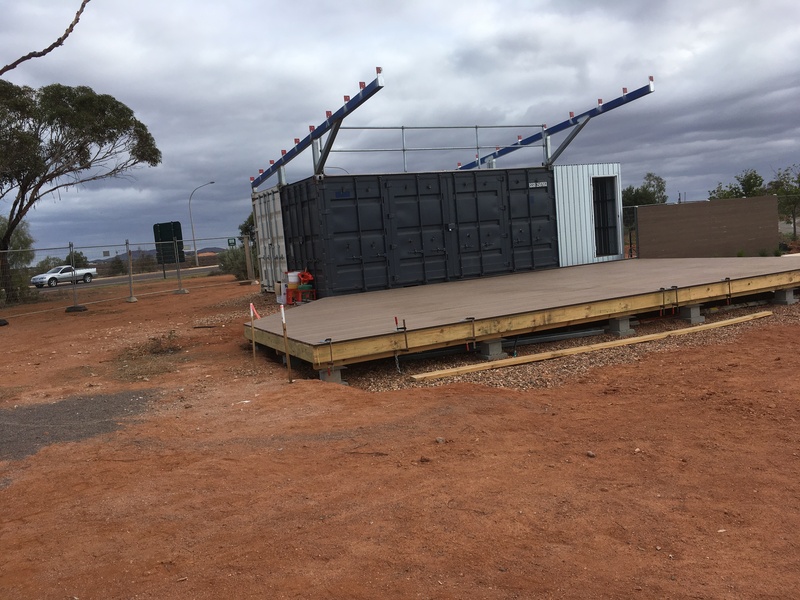 The local council own and run the wetlands and the local council are building the kiosk. I mean, it might be very nice when it’s finally finished but at the moment it looks like two side by side shipping containers. Now this is a ferry !! places and things I remember have gone or have changed beyond recognition. 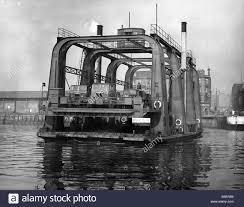 One example of this was the Govan Ferry, which today, I think, is a smart boat that crosses the River Clyde in next to no time unlike the BIG Govan Ferry I remember, which was slow and ponderous. I worked for HM Customs and Excise. I was stationed at the White Horse Distillery in Port Dundas. Part of the Bonded Warehouses had been built by Prisoners of War – French POW who fought for the Emperor Napoleon. You felt that the place had been there forever and would never change – yet it is gone – flattened, the Distillery and the Bonded Warehouses – I have no idea when but it’s all gone. “Things fall apart” to be sure. On of the men in the church took his two daughters back to Scotland and when they came home he wrote a piece for the “New Voice” the church magazine which I edit. In it he talked of his holiday and the places he and his daughters visited. Before he left Jennifer, one of his daughters, asked if there was anything I would like from Scotland. I asked if she could bring me back a few postcards from Glasgow. Anybody asks me, that’s what I always suggest. I use them as monthly dividers for my Filofax. Anyway, they travelled across the British Isles and finally came back to Glasgow – Govan, where John was brought up. It was mostly about Govan he wrote and expressed his sadness that the places of his childhood were gone. He tried to find the houses he and his wife lived in when they were first married, but they too have gone. Certainly the official buildings are still there, but other places are destroyed and built over. Some of the places he talked about I knew, particularly the Cinemas – none of which remain. The Govan he remembers has gone forever. 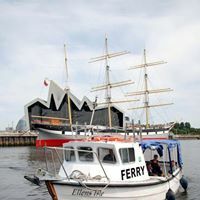 I miss the Dear Green Place, and I really do believe it is true ‘You can take the man from Glasgow, but Glasgow from the man” I get irritated with people who bag Glasgow, particularly a Minister, who I will not name, who bagged the city just before the Commonwealth Games. Which, I understand , was an outstanding success for the games and the city. But things do change – even here. As I said before, when we moved here this was the last house in the town. There was only bushland beyond us. The Mining Boom happened and what was empty land became a private housing estate and places I walked the dogs, were now gardens. I don’t see the Kangaroos as much. But the mining boom has been and gone and went, and so has the big pay packets. They can no longer afford the big boat, or the Jeep or even the five bedroom house – so the jeep’s gone, the boat’s gone and the house is up for sale. Sad but no one thought to put money away it was just earn and spend. And they borrowed – so what they get for the boat, vehicle and house will mostly go to pay debts. That is the sad aftermath of the mining boom for some. As they say, the one thing you can rely on is change..
Glad to have sparked off an idea for a post! I find I’m having more than a few of those “I remember when” moments. 😕 Try to stay warm; if it helps take the chill off, think of us in the Denver ‘desert’ sweltering at 95-98F. I know your 13-14C cooled me off for a second. Well it is starting to get a littler lighter in the evenings so spring is on its way. That’s great news. Hopefully it means we’ll be racing forward to autumn soon. 79 days left I think! I hope you both can stay cosy inside the house :-) I’m sorry you don’t see many kangaroos, it must be just incredible to see a kangaroo when you’re out for a walk. Yes it is good and generally you see two and three at a time mum, dad and a youngish one. This post reminds me of the saying, “You can never go home again.” It is sad when things you took for granted earlier in life are just gone. Hope it warms up a little and you can get out and get some good walks in. That’s true. It prompted me to look and see the house and area where I spent for first few years of my childhood and it’s all gone. houses, streets and parks – all gone, so, I can’t go back and even if I could, I have no one to share it with.